For those of you who know us, it’s no secret Amanda loves to run and I hate it. My lifelong creed has been, “I don’t need to practice running away . . . 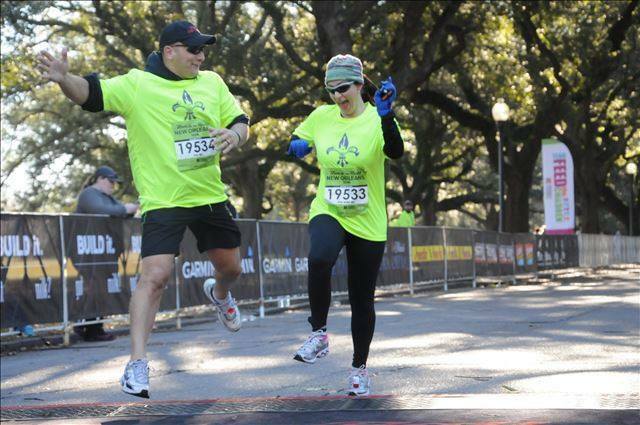 I plan to stand and fight,” while one of Amanda’s lifelong dreams has been to run a marathon. No big deal, right? I could simply meet her at the finish line. However, there’s a catch . . . she doesn’t want to run it alone. Can ya see how that might cause a conflict? Well, when you love someone, you make sacrifices. This is never truer than when you become a parent. In my mind, parents should put the needs and wants of their children before their own. Similarly, I think individuals in relationships should put the needs and wants of their partner before their own. At least it’s what I try to do, and, since Amanda loves to run and I love her, guess who’ll be running a marathon in February??? 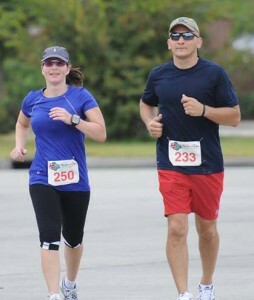 Back around the time we first met, Amanda was already signed up for a half marathon and I decided to run it with her. A bold move for someone who’d never run more than about five miles at a time in his life and who refused to run unless he was chasing a fugitive, but I figured, “How hard could it be?” Sure, I tried to supplement my fight workouts with running over the years, but after running a mile or two here and there, I’d get bored and stick to fighting. In any event, we ran the half marathon with no training (Amanda was too busy falling in love with me to train and I hadn’t had time to do any fight training since becoming a single dad) and we finished at 2:57:26. Neither of us cared about our time, but when Amanda recently started talking about the marathon coming up in February, she explained that we had to complete it in under seven hours or we wouldn’t “finish”. Knowing how important it was to her, I decided to start running with her to prepare for it. It didn’t take me long to realize some things had changed since the last time I’d run. 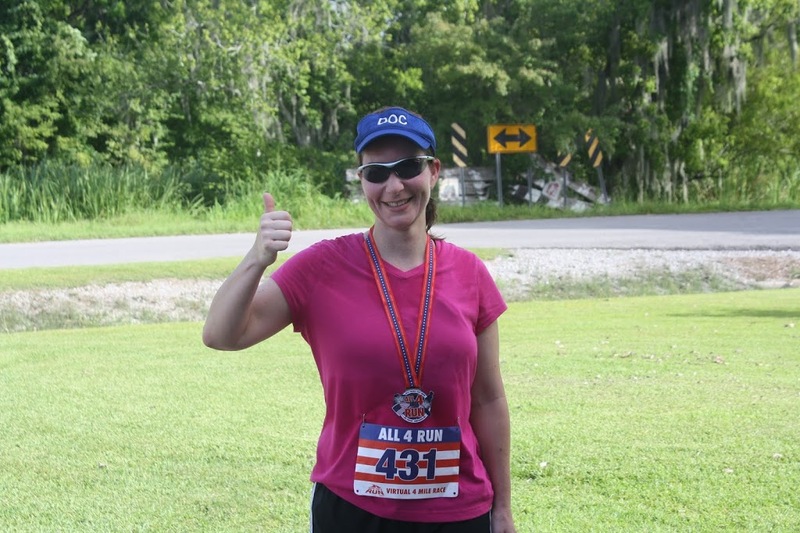 I began experiencing pain in the front of my ankles that grew increasingly worse as I ran and there was pain in the front of my knee throughout the run. I ran with Amanda a few different times and started experiencing the ankle pain earlier in the run, which seemed to indicate it was getting worse. Certainly not wanting to cause permanent damage over “running”, I slowed my pace to a fast walk, which was equivalent to Amanda’s slow jog, and would jog intermittently. The pain returned when I jogged, but subsided when I walked. Knowing I had to move faster than I was, I did some research online to try and fix the problems. The knee problem was fixed with a simple Patellar tendon strap. The ankle problem, not so simple. I went to a popular medical site and learned what I was experiencing was possibly anterior ankle impingement. According to this website, I would have to have surgery or die. (Not really, but when you research your symptoms on the internet, doesn’t it always seem like you end up dead?) Other than surgery, the site suggested a long resting period and slow rehabilitation with a physical therapist. It also said something about the tibia rubbing against the bones of my ankle due to the angle of flexion . . . or something like that. I quit paying attention when they mentioned a physical therapist. I’m a do-it-myselfer and was looking for options I could do at home to solve the problem. Unconvinced, I turned to one of Amanda’s books, THE EVERYTHING RUNNING BOOK and looked up “anterior ankle pain”. They suggested skipping the top lace on my running shoes, because it put pressure on the tendon at the front of the ankle (I forget the name of the tendon, so I’ll just call it the tendon at the front of the ankle:-). I skipped the top lace and went out jogging one day last week, but still experienced pain in my ankles. That brings us to this morning. Amanda woke up bright and early to go running. She was trying really hard to be quiet as she slipped out of bed and returned to the room with a cup of coffee, but I’m a ninja and woke up when she thought about getting out of bed. I decided I would go “fast-walking” again and see if I could keep up with her quicker jogging pace. It took her about twenty minutes to get ready and I popped out of bed as she was walking out the door and still beat her outside. We hadn’t gone half a mile when my “fast-walk” pace brought on the pain in my ankles. I told Amanda to just go ahead and get her workout in. As I walked, I began thinking about everything I’d read and considered what I was doing. I remembered reading that my tibia could be rubbing the bones of my ankles because of flexion. During my “fast-walk”, I had extended my stride and caused a deep flexing of my ankles. Although I’d been told all of my life to land on my heels and roll toward my toes when I ran, I decided to discard that philosophy. I began utilizing a shuffling motion to jog, landing flat-footed and taking smaller, quicker steps. This greatly decreased the amount of flexing in my ankles. In any event, we ran 5.5 miles in just over an hour and I didn’t feel any more pain. It was a big relief to finally figure out the cause of the pain and solve the problem, because I really want to give Amanda what she wants . . . and she wants to finish the marathon in under six hours. “So, then,” you might ask, “Wherein lies the “joys” of running for a person who hates to run?” The truth? The act of running brings me absolutely no joy. I hate it now as much as I ever did. However, the joy comes from spending quality time with the person I love, doing what she loves to do. 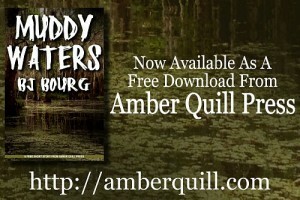 Amber Quill Press has reprinted my short story, MUDDY WATERS, as a free download. MUDDY WATERS is the one that started it all for me. Back on May 23rd of 2003, Earl Staggs, Senior Fiction Editor for FUTURES Mysterious Anthology Magazine, notified me that MUDDY WATERS had been accepted for publication. The story was edited by FMAM Founder and Publisher Babs Lakey and appeared in the Summer 2004 issue–it was even featured on the cover. That one acceptance lit a fire under me that has only burned brighter over the years. Since then, I’ve had over 180 short stories and articles and three novels accepted for publication, with more to come. When the decomposing body of a woman is found floating in the muddy waters of Bayou Lafourche, Detectives Brandon Wolfe and Rick Patterson suspect accidental death or suicide…until the autopsy reveals the victim drowned in clear water. For those interested in downloading and reading MUDDY WATERS, just click on the image below, which was produced by Amber Quill Press. 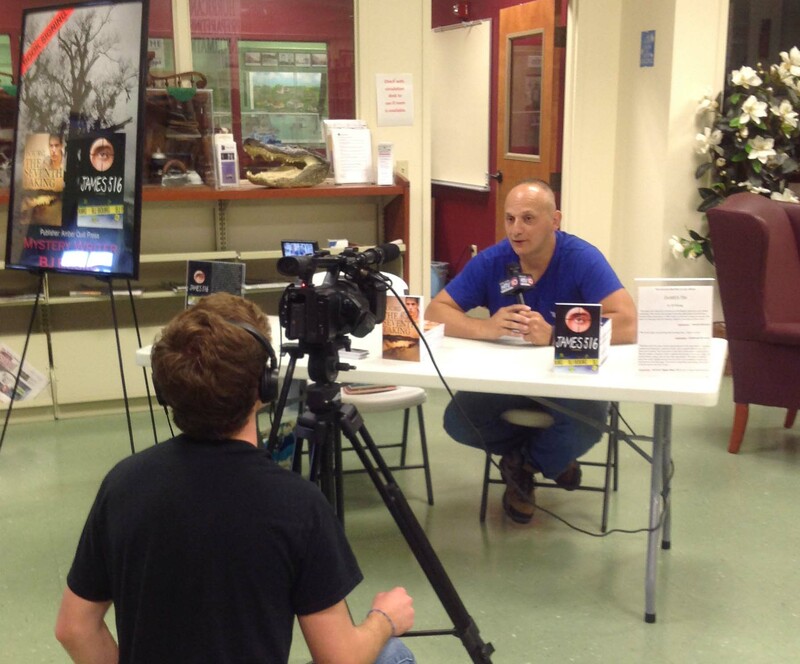 Amanda and I had the pleasure of spending the entire morning with the great folks at the South Lafourche Public Library. 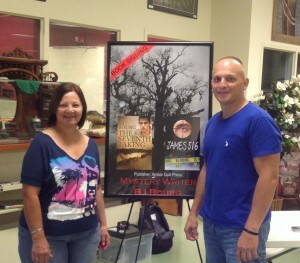 It’s our second trip “down the bayou” for a book signing and we had a great time, as we did the first time. I once said I write to be read. Thus, having someone share their thoughts and feelings about something I wrote is a very rewarding experience. I guess that’s why I love doing these events so much. Among the people I met today was Mrs. Eurelda Burkett, who has read JAMES 516, THE SEVENTH TAKING, and ABSENT THE SOUL (my first book of short stories), and she let me know how much she loved them. She especially loved my short story titled HEARTBEAT TO HELL, which is set along a creepy highway in southeastern Louisiana. She said that story really hit home for her because of something she experienced on that same highway. 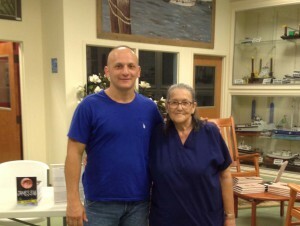 It was great fun listening to Mrs. Burkett recount that story and others, and I hope to be back down there soon to visit with her again. My former detective partner’s wife, Chris, who is also a longtime friend, stopped by to have her copy of JAMES 516 signed. Not only was Chris a friend, but she was my very first fan and her words of encouragement kept me writing way back when I first began dabbling in this bloodsport. She was also the first person to read my first completed novel titled HOLLOW CRIB, which will be released by Five Star – Cengage early next year. Alas, we received an unexpected visitor . . . a cameraman from a local television station, HTV. While it was a surprise and I wasn’t prepared for an interview, I very much appreciated him taking the time to drive down there and cover the book signing. Copyright © 2015 BJ Bourg. All rights reserved. 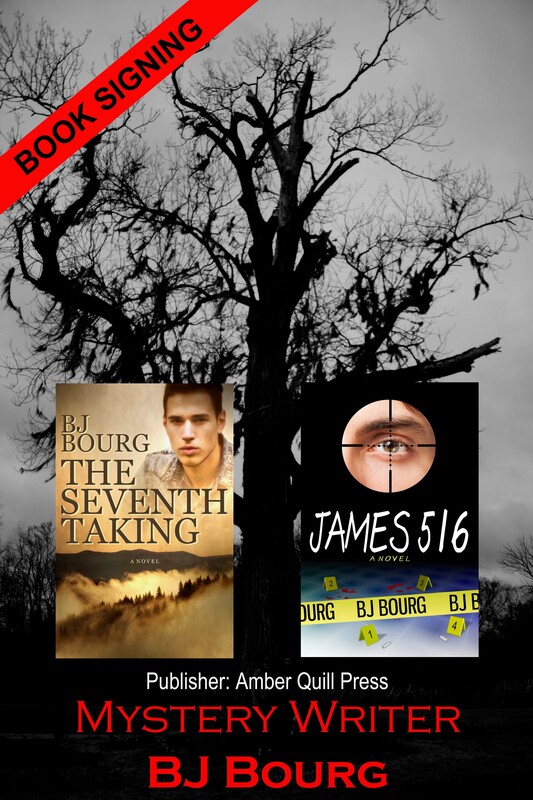 I’ll be at the South Lafourche Public Library signing copies of JAMES 516 and THE SEVENTH TAKING tomorrow morning from 9 AM until. If you’ve purchased a print copy and want it signed, stop by and see me. If you don’t have a copy and would like to purchase one, I’ll have some available. You can also borrow a copy from the library. Today I completed the GoneForaRun.com Virtual 4 Miler, the All 4 Run. I love virtual runs for two big reasons: convenience and motivation. I needed both today. I did not have the time to travel to an event and I needed to start running again. I had convinced myself over the last two months that the heat was just too oppressive for running, and it dramatically decreased my training. I needed motivation and encouragement. Truth be told, I love bling, and I was determined to earn my medal! I also want to be a marathoner. (Yes, that’s on my bucket list.) I don’t want to climb Everest or become a published novelist (my husband already beat me to this one, but I’m not a creative writer anyway). I’m a runner, and not a very great runner. I’m slow and not built for the sport at all, except in my aspirations. Marathon completion is not far-fetched, since about half a million people complete one each year. Kids have done it, and even people in their 90’s. But this goal has eluded me for far too long. BJ and I are registered for my first marathon (yes, he got dragged into it), which is 34 weeks from now. I have plenty of time, but I want to keep my soles on the pavement until my glory day arrives. In closing, I want to thank Gone for a Run and my husband for the motivation today.